You are now on the great divide which seperates the two principal drainage areas of Wisconsin. Water falling to the north of this point finds its way into Lake Superior, then down through the Great Lakes and the St. Lawrence River 2,000 miles into the Atlantic Ocean. Water which falls to the south of here runs down the Chippewa River into the "Father of Waters," and after 1600 miles reaches the Gulf of Mexico. The elevation here is approximately 950 feet above Lake Superior and 1550 feet above sea level. The marker is located at Great Divide Wayside Park, 25145 State Highway 13/77, Glidden, Wisconsin 54527. About Education: What is the Continental Divide? It's All About How the World's Rivers Flow. 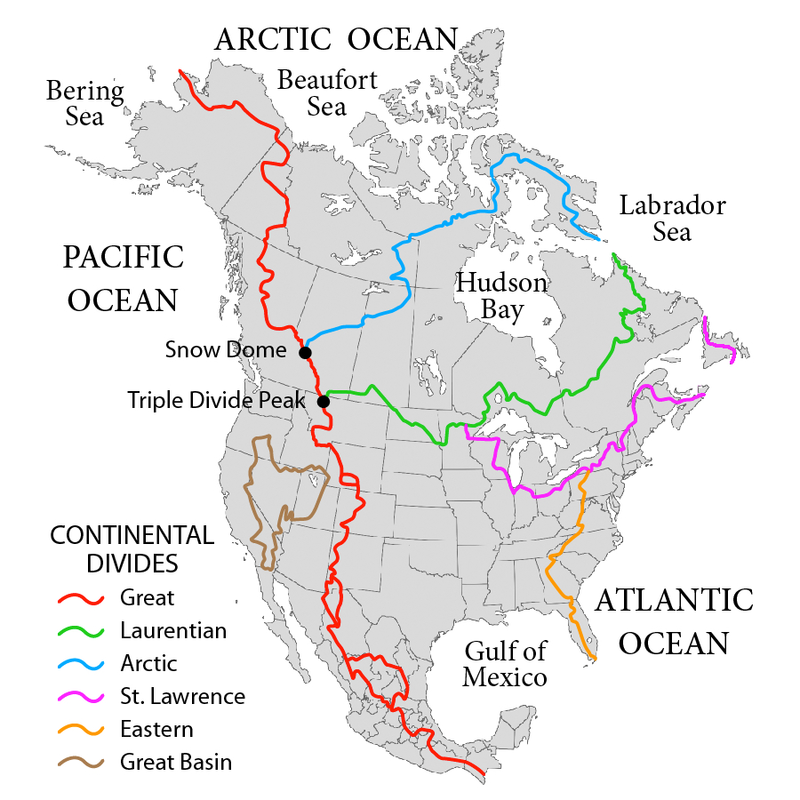 Map showing the major Continental divides of North America. The marker is located in Glidden, Wisconsin. Where can a person get a map that shows EXACTLY where the divide runs. All that I can find is this stupid picture of ONE location. One location does not make a divide. Not sure why I'm the target for your hostility -- I'm only documenting marker locations as a hobby. If I were you I'd start with a Google search . . . Especially when the wiki link in the article shows a map of where it runs. An interesting point: The Early explorers of Northern Wisconsin, Du lut and Radisson USED the great divide to explore the area. Radisson, for instance, used the river, just south of the divide to travel south toward Hayward, WI to trade with the Indians. The Bois Brule river flowed North to lake Superior but could be traversed to its head waters, near lake St.Croix, in order to travel South toward the Mississippi. Only a 1 mile portage separates the head waters of the Bois Brule with Lake St. Croix and was used by local indians as a waterway for centuries. That is interesting! Thank you for sharing.